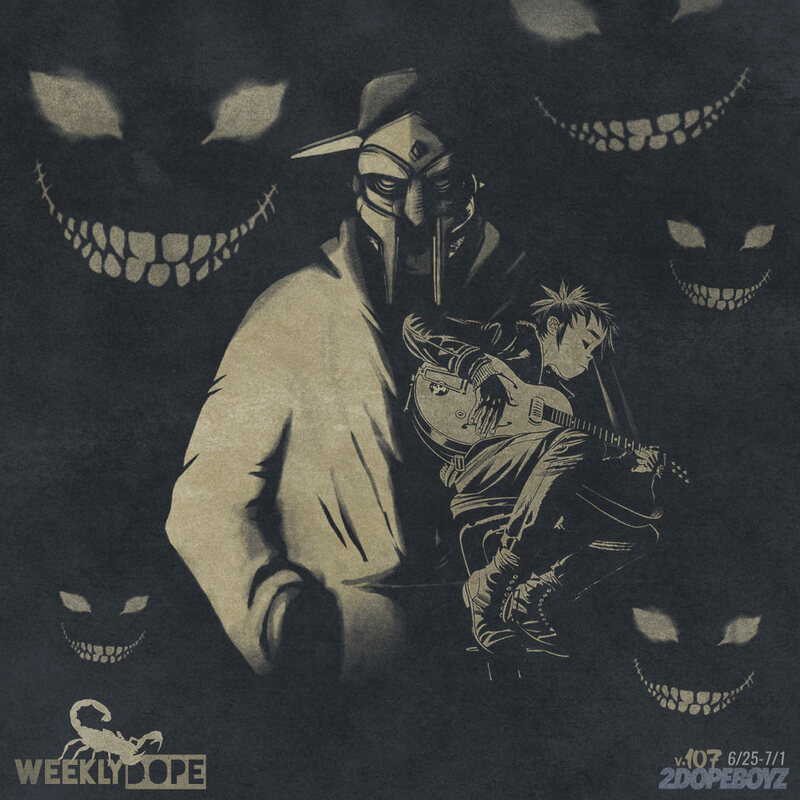 For the 107th installment of our Weekly Dope playlist, we ran with a mix of DJ Muggs & MF DOOM, the Gorillaz, and Drake—for dropping Scorpion on our head tops. As expected, with the arrival of Drake’s fifth album, there wouldn’t be many other projects dropping. But we still got a couple from Trae Tha Truth and Casanova. Roc Marciano and Alchemist reminded everyone they’ve got heat, TDE’s Punch served food for thought, and A$AP Ferg dropped a pair of bangers. Wiz Khalifa and Problem stayed in Cali with a fresh Roger & Zapp flip, Wale & Eric Bellinger remixed another cut, and Vic Mensa has “10k Problems” he’s dealing with. Plus music from Mozzy, Jarren Benton, ShaqIsDope, and more.